My favorite cruise line! Stay tuned for more info on this great little gem! Please take a look at my reviews and photos from our trips. We have cruised extensively in the past few years and I would be happy to share our experiences with you. I have been a travel agent for almost 40 years (less some time to raise our children), and an interline agent for almost 10 years. I am also the wife and mom to airline pilots. Therefore I have lived with the trials and the benefits of interline travel. How many times have we gone standby and watched the plane leave without us? We never went away during the school holiday vacations. The kids knew they had to get good grades so they could be taken out of school. (hey it was a good bribe!). Last minute bookings and constantly watching the airplane loads is a norm for my business and my life, and I understand it is yours as well. My clients are from around the world and travel around the world. While my specialty is cruising, I also have interline rates in resorts and hotels around the world. Even some tour operators are starting to offer discounts on escorted tour packages. I will not be posting rates on this site as they change constantly. I have daily specials on Facebook under Ellen Ross Travel. Please go ahead and "Like" my page there. Also you can go to www.perx.com and do searches for offers. However please email or call me for more information and to make your reservations. If you happen to see rates on any other interline site please call me as well. I work from a home office, so I am very easy to reach. But even when I am travelling my laptop isn't very far away. Enjoy your visit to Ellen Ross Travel. 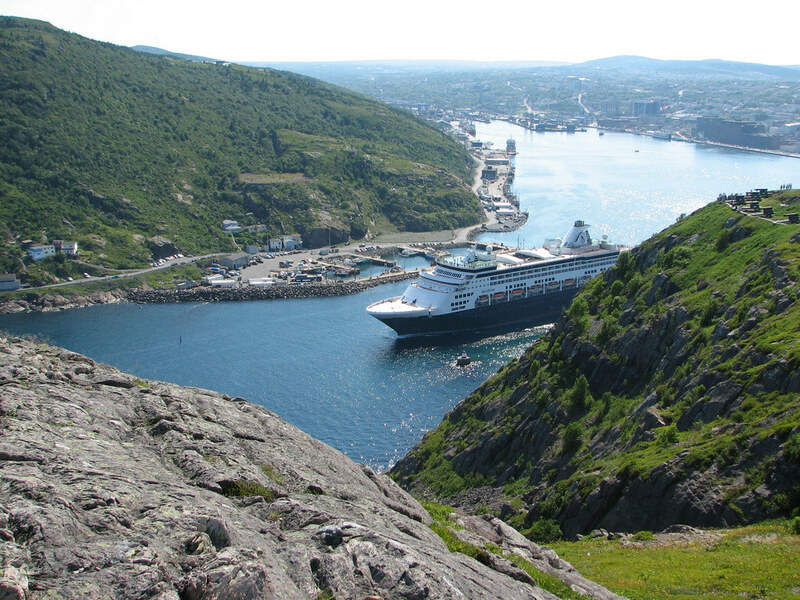 Holland America Eurodam - A hit and a miss! Last August I was very excited to do another Trans-Atlantic. This itinerary would take us from Amsterdam to Norway, Iceland, Greenland, Canada, and back home to NY. Dave, me and our travelling buddies Nigel and Regina were ready to go with the cold weather clothing and lots of batteries for our cameras. I had sailed on Holland America numerous times before. While I won't say that every voyage was perfect for the most part we had positive experiences. Unfortunately this time was different. Let me start by saying that the ports and what we saw was amazing. And for those who don't mind the cold and sometimes rough seas, (I sleep like a baby) it's a great way to go. Our issue was Very Very poor customer service. I'm going to try to bring this down to some specific points so this does not become a book. We had a great Signature suite cabin at the very front of the ship. The cabin actually had a double balcony as it wrapped around on deck 5. However when the seas became rough we heard a terrible banging. We assumed that one of the doors to outside was not secured. After 2 days calling multiple times and being told that nothing was wrong (even having people come in and listen to it), Dave found an officer to ask. He was told "Oh, yes sir, we are aware of the problem. The anchor is not securing properly in the housing which is banging, but we have to wait until the next port to fix it". OK so if the customer service people would have just taken a minute to call the bridge they would have had the answer almost immediately. And the second major problem was really scary. One night after coming back from the show and the casino I got into bed and felt something scratchy. On closer look I found a small piece of glass in the sheets. (I also found a second one). Luckily I wasn't scratched. To make a long story short. All they were interested in was getting their hands on the glass. No real concern of how I was. Granted it was probably a very isolated incident but it was more of how they handled it. It just seems that those in authority on the ship really have no authority. Every decision had to be sent to headquarters in Seattle. There were other issues with our friends as well. Again we had a wonderful trip inspite of all of these issues. Do I advise my clients about the customer service now when I book Holland America? Absolutely. Will I travel again with them? Probably. However I am aware of how to deal with them now. Don't settle for "yes maam, and we'll get back to you". Last year was a tough one for me. I was having bad knee problems and just couldn't travel very much. But my need to cruise was very strong! 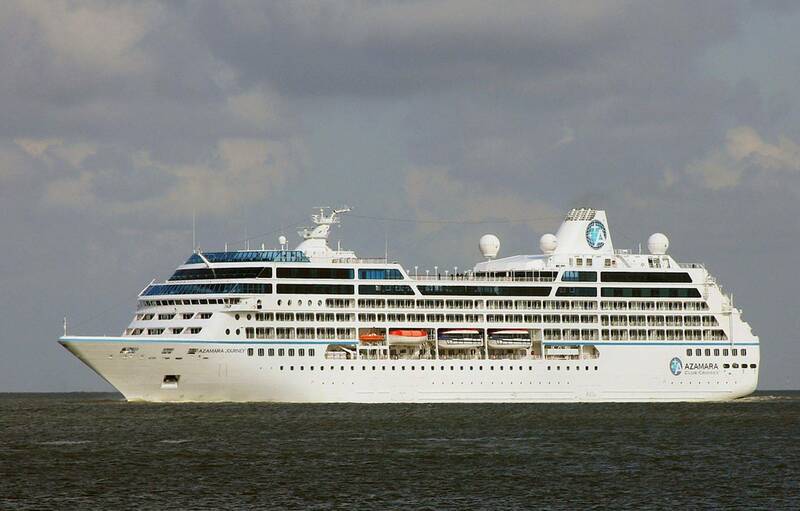 Luckily we found a repositioning cruise from New York to Miami on this fairly new ship, the Royal Princess. I didn't really care much about the ports but it gave me a chance to sail on a new ship and enjoy the sea. Leaving out of Brooklyn NY is a pleasure (except for the ride to the airport). It's in Red Hook which is not very close to either airport so we parked at Newark and took the Princess shuttle to the ship. Embarkation was a breeze. And there is nothing like sailing out of New York for scenery. For this sailing we had a mini-suite on Marina deck forward. This was a very nice location as it was quiet and had easy access to the pool area and Sactuary. (more about that later). Princess really does it right when it comes to mini-suites. The are large at 243 sq feet. While it is one large room there is a part that has a large sofa and additional TV. The negative of this ship and it's sister the Regal Princess is the size of the balcony. They really reduced it from the earlier ships from 46 sq feet to 36 sq feet. The storage areas are large in this cabin as well. Many people don't consider a mini suite and say that the balcony cabin is just fine. On the Royal and the Regal there are 2 balcony categories. The regular balcony category (starts with the letter B) is at 174 sq feet. There is no additional seating area in these cabins. So it's the bed or the floor. The deluxe balcony cabins (start with letter D) is 185 sq feet and does have a small sofa for seating. The balconies on both are the same as the mini suites at 36 sq feet. For a large ship at over 142,000 tons they are done well. Other than getting an elevator, the spaces feel open and uncrowded. The central area for gathering is the Piazza. This is a 3 level area with shops, restaurants, photo gallery, bars and entertainment. The main pool area is large and has a good amount of seating on that deck and upper surrounding decks. My only real issue with this pool area is the Movie Screen. While it's a great feature to have it becomes intrusive during the day when so many people are around the pool. It's just a huge amount of noise when they play Musical Concerts. Example U2 concert from Wembly blasting away. There is another small pool and area on the Sun deck, called the Retreat Pool. This is a really lovely area and tends to be a bit quieter. It is right outside the Sanctuary area. The Sanctuary is an adult only Oasis for an additional significant charge. (if you can get in). They do not take reservation prior to the cruise, so if you want to enjoy this area you need to be one of the first on the ship and get there right away. (and that doesn't guarantee getting in either). On this sailing we had a real problem with the management in charge of the area. Let's just say he used the area as a profit making enterprise. I know he was reassigned. The food on the ship was very good. We chose open dining. They have enough space to comfortably acommodate those who choose this option. However we found that if you called in the morning to put in the time you wanted for dinner that evening it avoided waiting on any lines.